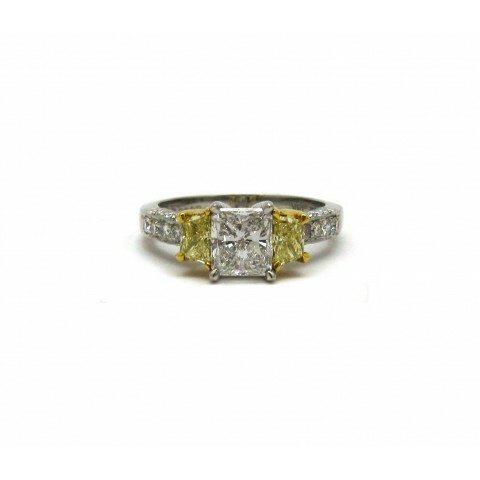 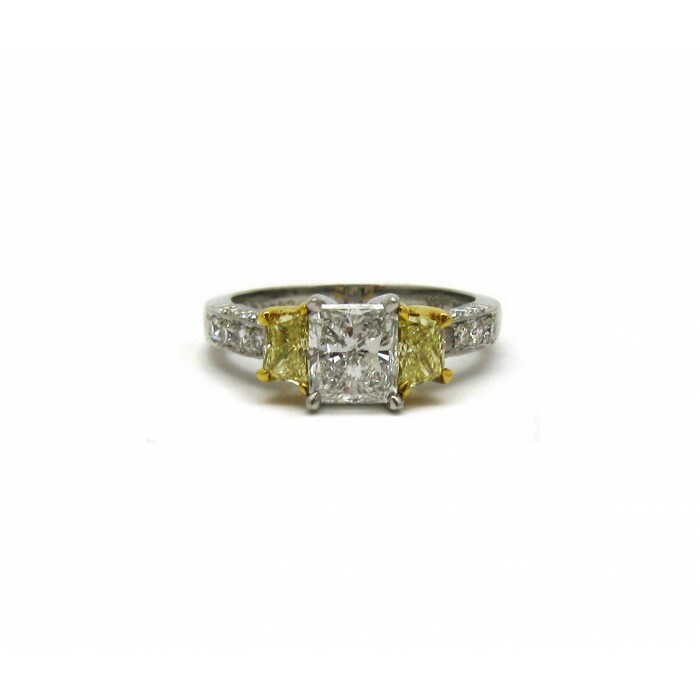 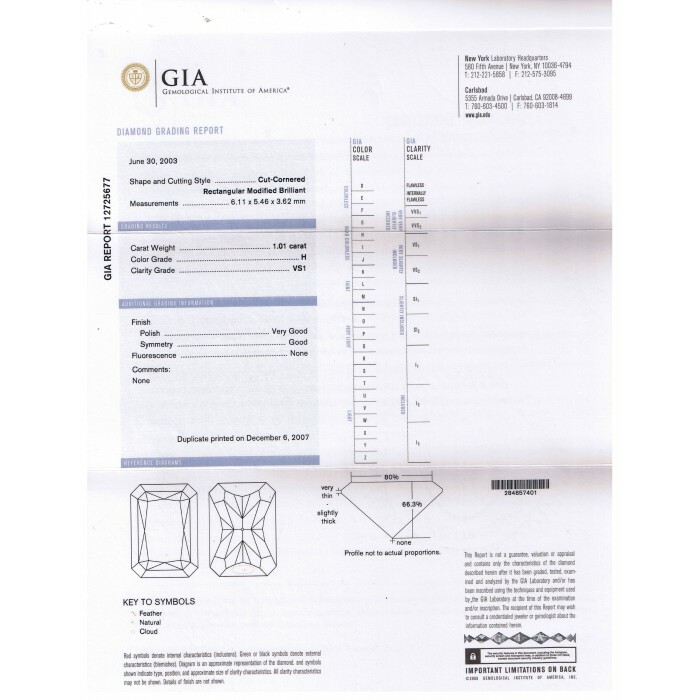 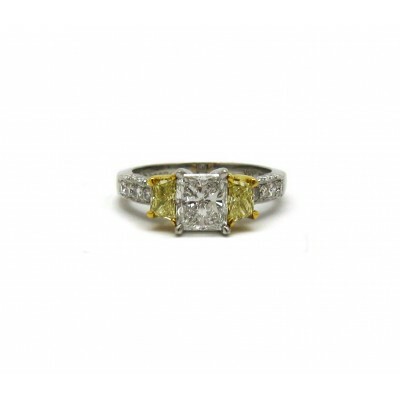 This gorgeous Martin Flyer designed engagement ring contains a GIA certified center radiant cut diamond flanked by fancy yellow trapezoid diamonds. 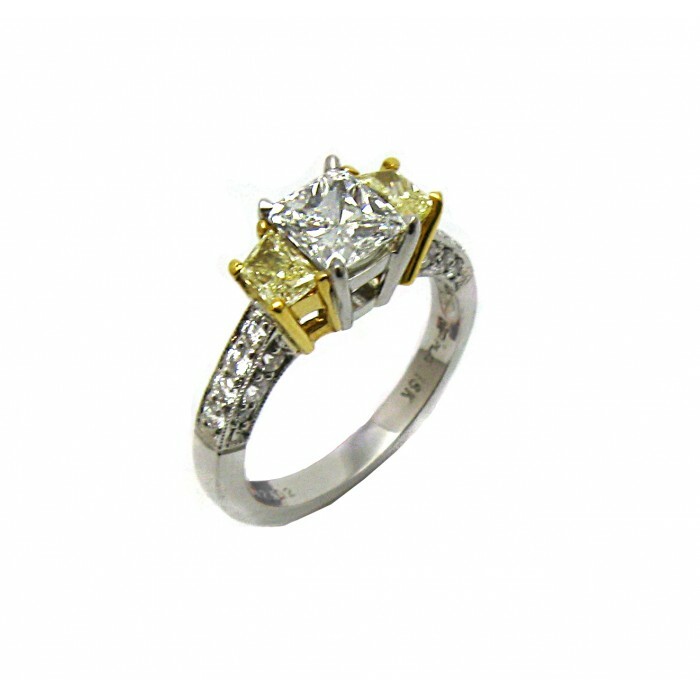 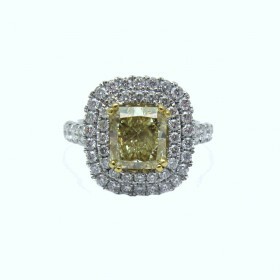 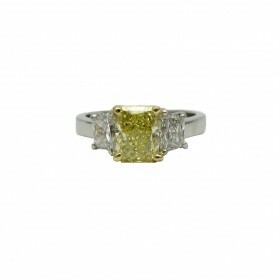 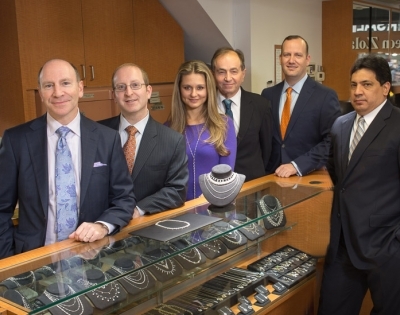 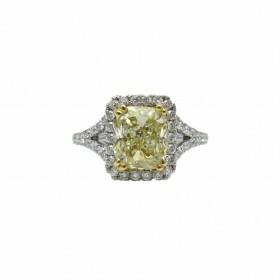 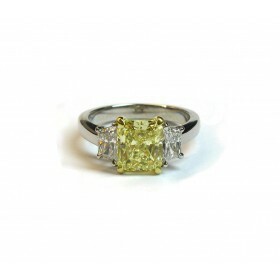 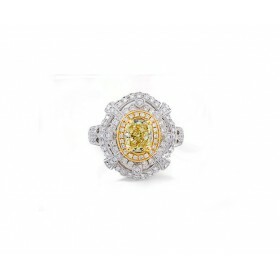 This somewhat unique arrangement satisfies the desire for fancy yellow diamonds, yet maintains the traditionality white diamond center. 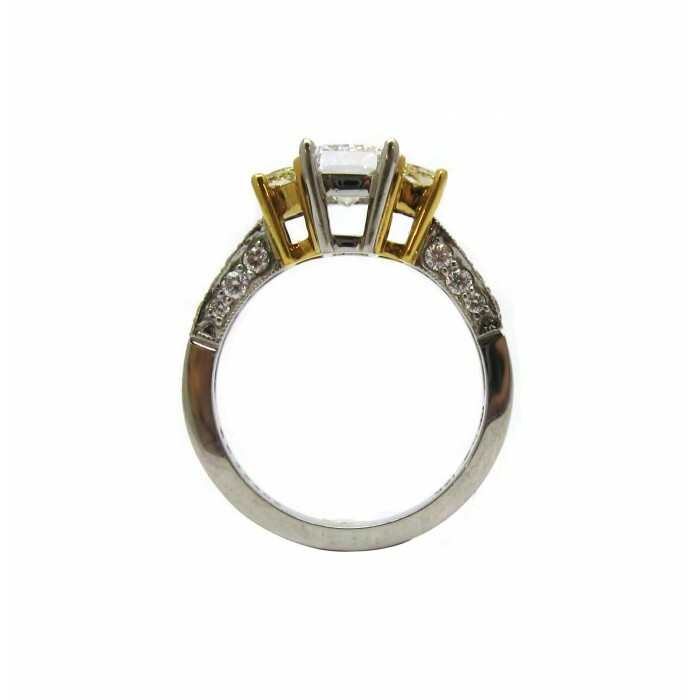 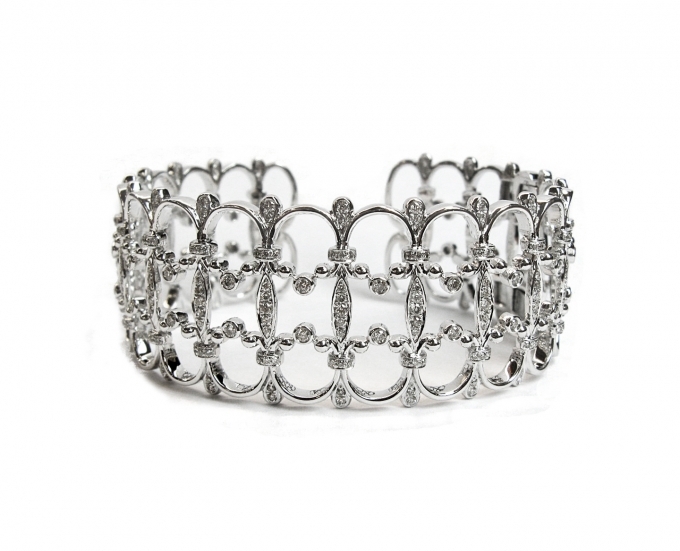 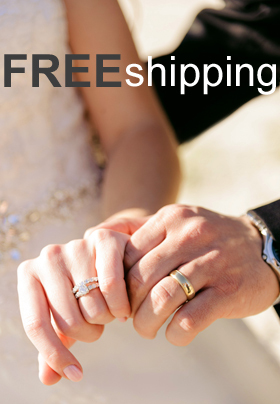 Additional diamonds adorn three sides of the shank.